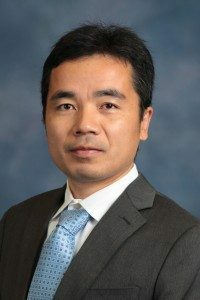 Liming Xiong is an Assistant Professor in the Department of Aerospace Engineering at Iowa State University (ISU). He graduated with a degree of B.S. in Engineering Mechanics from Dalian University of Technology (China) in June 2001, and with a degree of M.S. in Solid Mechanics from Huazhong University of Science and Technology (China) in June 2004. Then he spent two years at the George Washington University as a research assistant and was awarded a degree of M.S. in Materials Science and Solid Mechanics. In 2011, he received his Ph.D. in Mechanical and Aerospace Engineering (MAE) from University of Florida (UF). He worked as a postdoctoral scholar in the Department of MAE at UF for three years and then joined the faculty of ISU in September 2014. His research falls into the general area of theoretical, computational and applied mechanics of solids, and aims to quantify the relationship between properties and microstructures in a variety of materials (metals, semiconductors, oxides, and composites). The primary focus of his research is to understand how the atomic-scale structure change (dislocation, phase transformation, diffusion, and soft vibrational modes) determines the material behavior (plasticity, fracture, thermal and mass transport) at the macroscopic level.